Many readers will readily recognize the refreshing experience of a frosty brew, and many are also likely to appreciate soaking in warm water and enjoying full recharge in a quiet room of secluded relaxation. 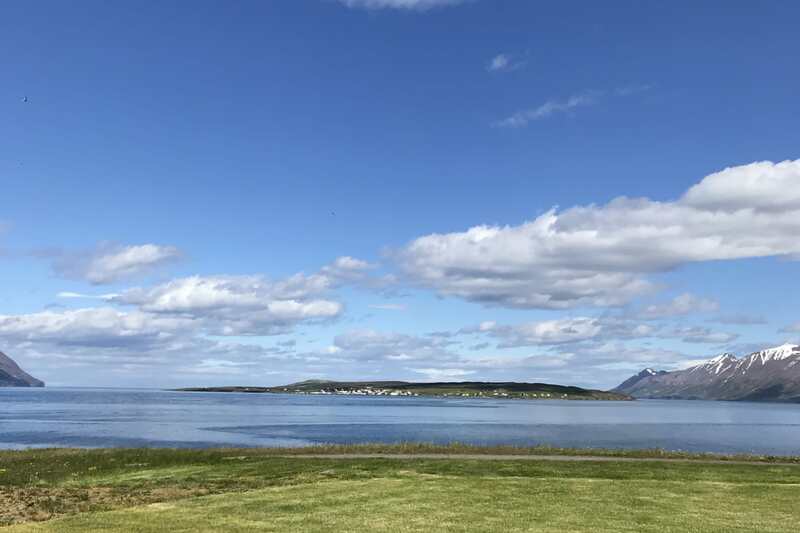 Now these two distinct experiences can be merged effortlessly into a single indulgence at the Beer Spa, or Bjórbödin, recently opened in the small village of Árskógssandur, North Iceland. The Beer Spa is a clever spin-off from Bruggsmidjan brewery, maker of the popular Kaldi beer. In operation since 2006, Bruggsmidjan is Iceland’s oldest microbrewery, and the various styles of Kaldi beer are firm favorites around the country. The Beer Spa experience really does mean bathing in beer – but wait, there’s more to it. To be more precise, you are soaking in a warm concoction of young beer, water, hops, beer oils, beer salt, and live yeast for 25 minutes, all in a huge tub handmade from Kampala hardwood by a German family-owned company. Once done, wrap yourself in a soft bathrobe and head for the relaxation room for another 25 minutes. In muted light and sound, you will more than likely doze off. What may sound like a gimmicky novelty is actually a beneficial treatment for your skin. As the beer is young in its fermentation process it carries a low pH value, it makes the skin smooth and firm as well as rendering the hair silky. The yeast used provides the bath with numerous B vitamins, along with proteins, calcium, zinc, and magnesium. The hops are loaded with antioxidants and alpha acids. To maximize the benefits, it’s recommended that bathers refrain from showering for three to five hours after soaking in the beer baths. Bathers are informed that drinking from the tub is not advised, as the “beer” water is not only non-alcoholic but altogether unsuitable for drinking. There is, however, a tap next to each bath, where bathers can help themselves to practically unlimited Kaldi Blond Lager. Note that according to national law, the beer is only intended for those who have reached the age of 20 years. Children younger than 16 years must be accompanied by an adult. And what to bring home from the gift shop as a memento from this soothing dip? Why, a few bars of beer soap or other beer-based grooming products available in the reception. The Beer Spa, or Bjórbödin, is in Árskógssandur, 34km north of Akureyri in North Iceland. Icelandair's sister airline, Air Iceland Connect, flies from Reykjavik Domestic Airport to Akureyri daily.